B.12 What is Canada's experience in nuclear fuel reprocessing? 1939's discovery of nuclear fission, whereby an atomic nucleus can be split in half and release millions of times more energy than any chemical reaction, touched off a firestorm of research activity around the world. Ideas (and patents) abounded: since the discovery of the neutron in 1932 this subatomic particle with zero electric charge had been used extensively as a convenient probe of matter, but now it promised to unleash an energy source like no other on earth. Thoughts turned to boundless energy supply, and, first and foremost (since Hitler had just started his war), a bomb of unimaginable power. A "catalyst" (in nuclear terms, a "moderator") is required for ordinary uranium to sustain a fission chain reaction: Some researchers, like George Laurence at Canada's National Research Council in Ottawa and Enrico Fermi at Columbia University in New York, tested graphite for this purpose, while others in France explored the potential for using heavy water (a rare form of ordinary water – see related FAQ). The French team of Joliot, von Halban and Kowarski worked with a small amount of the exotic material (about 160 L) which had been recently smuggled out of Norway under the Germans' noses. Their inventory represented the world's entire collection of the precious material (hitherto of minor usefulness). When France fell to the Nazi blitzkrieg two of these researchers, Hans von Halban and Lew Kowarski, again smuggled the heavy water away from Hitler's grasp, this time to England. The two scientists continued their fission research with heavy water at Cambridge University. In 1942 a decision was made jointly by the Canadian and British governments to set up a secret laboratory at the University of Montreal, and to move the British heavy-water research project to that location: the task was to design a heavy water plutonium production reactor. Canada was now a participant in an Anglo-Canadian-American project to build an atomic bomb. The code name in the United States for this project was the "Manhattan Project". In Canada the project, which operated under the National Research Council (NRC), became known as the "Montreal Laboratory". As the Manhattan Project intensified the American cooperation in this technological alliance decreased greatly, leaving the Canadians and British to follow an almost independent path towards the creation of controlled nuclear power. Unlike the American reactor program, which focussed on "piles" of uranium and graphite, the Anglo-Canadian project was centred around the technology of a heavy-water chain reaction for weapons-plutonium production. The culmination of this project was the pilot-scale heavy water test reactor ZEEP in 1945 after the end of the War, followed by the full-scale heavy-water research reactor NRX in 1947. At the time NRX was the most powerful research reactor in the world, and it continued to serve the needs of scientists and engineers for the next four decades. Unlike Britain and the U.S.A., the other two players in the allied nuclear effort of World War II, Canada did not continue to develop nuclear weaponry, but instead focussed on the peaceful uses of research reactors. NRX had been designed as a multi-purpose research reactor that would serve the immediate and future needs of experimental physics, in ways not even fully envisaged during its design stage. 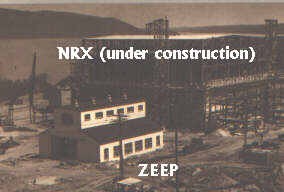 Following the completion of the ZEEP and NRX projects, Canada maintained much of its expertise in heavy-water technology and went on to design and build an even more powerful research reactor, NRU (1957), at the same site as the first two reactors (Chalk River Laboratories, about 200 km north-west of Ottawa on the Ottawa River that separates Ontario and Qu�bec). The Canadian advances in nuclear and solid-state physics during this period, due specifically to the power and versatility of the NRX and NRU reactors, made Chalk River Laboratories a world leader in these fields. During the 1950s attention turned to electricity production with nuclear power, and heavy water was a natural focus for a Canadian-designed power reactor. This period also saw the creation of a new crown corporation, Atomic Energy of Canada Ltd. (AECL), which took over Chalk River Laboratories and worked in cooperation with the Ontario electrical utility, Ontario Hydro (now known as Ontario Power Generation Inc.), and General Electric, to develop the Canadian reactor. International advancements in the technology of zirconium alloys permitted the abandonment of early plans (and in fact, construction) of a pressure-vessel design, and the full adoption of a pressure-tube design using the new zirconium alloys. This also permitted the construction of main reactor components (pressure tubes, calandria, etc.) within Canada itself, which did not have the necessary heavy industry to manufacture items like large pressure-vessels. In 1962 the first CANDU reactor, the 25 MWe "Nuclear Power Demonstration" (NPD) plant, went into commercial operation near Rolphton, Ontario (see related FAQ). This project was followed shortly by a larger prototype, the Douglas Point station on Lake Huron (site of the current Bruce Nuclear Power Development site), which went into service in 1968. Two other full prototypes were also built, namely an organically-cooled research reactor (WR-1) at a new AECL site near Winnipeg, Manitoba (1965), and a light-water-cooled, boiling-water CANDU unit (Gentilly-1) in Qu�bec (1972). However, the success of NPD and Douglas Point proved that heavy-water coolant was a viable technology in large-scale power reactors, and the template for future CANDU designs was thus set. This unique historical development is quite distinct from the American experience, which developed the civilian PWR from the highly-successful nuclear naval reactor programme. 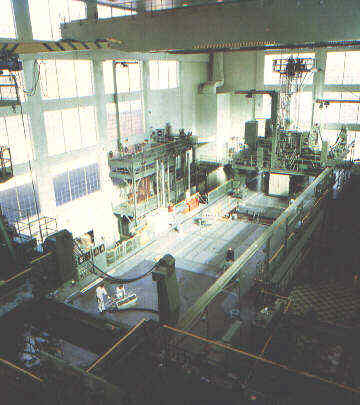 The CANDU reactor, in contrast, was developed as a commercial power reactor from the start. Other countries also studied the heavy water reactor concept (US, UK, France), but opted for light-water or gas-cooled designs. B.8 – What was Canada's first nuclear power plant? "Early Years of Nuclear Energy Research in Canada" by Dr. G.C. Laurence. "Entering the Nuclear Age" by Dr. J.J. Whitlock (the author), published in the Legion Magazine, Sept. 2003. Click here for a report of annual net generation by nuclear power in Canada. Click here to see what technologies (including nuclear) are currently generating electricity in Ontario, Canada's most nuclear-powered province. "Energy in Canada 2000" on the Natural Resources Canada website. There are 20 power reactors, all CANDU designs, currently operating in Canada. Taken together, these 20 reactors supply approximately 15% of Canada's electricity needs. Most operating reactors are owned by Ontario Power Generation Inc. (formerly Ontario Hydro), in the province of Ontario. Six are located at the Pickering station, about a half-hour east of Toronto. Four are located at the Darlington site, about an hour east of Toronto. Eight are located at the Bruce site on the Ontario shore of Lake Huron near the Bruce peninsula. The reactors at the Bruce site are leased to Bruce Power Inc., a private operator (see related FAQ). There are two other operating power reactors in Canada. One is owned and operated by Hydro Qu�bec at the Gentilly site in the province of Qu�bec, and the other is owned and operated by the New Brunswick Power Corporation at the Pt. Lepreau site near St. John in New Brunswick. For further information, see this map showing locations and electrical output of Canada's nuclear plants. Three CANDU reactors in Canada recently completed life-extension refurbishment: Bruce-A units 1 and 2 (see related FAQ), and Point Lepreau. There are no CANDU reactors currently under construction outside of Canada (although two units are pending in Romania), and none within Canada (note: new-build projects have been proposed for Ontario, New Brunswick, Alberta, and Saskatchewan, with Ontario now looking at constructing two reactors at the Darlington site). There are currently 4 Indian "CANDU-derivative" under construction. The three under construction in Romania (Cernavoda 3-5), are currently dormant pending negotiation for completion (legacy of the former Ceaucescu regime). Of these, units 3 and 4 are expected to resume construction in 2008 for completion in 2013. There are 6 CANDU reactors (or prototype variants thereof) permanently shut down in Canada: NPD, Douglas Point, WR-1 (see Note 1), Gentilly-1 (see Note 1), and Pickering units 2 and 3 (see Note 2). NOTE 1: Strictly speaking, WR-1 (an organic-cooled test reactor) and Gentilly-1 (a boiling-light-water PHWR) are both experimental off-shoots from the CANDU development program, but they share enough CANDU characteristics to be included here as prototypes. NOTE 2: Pickering units 2 and 3 were deemed presently uneconomic to re-start on Aug 12, 2005. They may still be restarted in the future, should economic conditions warrant it. 1 Based upon the CANDU design but developed domestically within India. 2 Strictly speaking, WR-1 (an organic-cooled test reactor) and Gentilly-1 (a boiling-light-water PHWR) are both experimental off-shoots from the CANDU development program, but they share enough CANDU characteristics to be included here as prototypes. 3 Pickering units 2 and 3 were deemed presently uneconomic to re-start, on Aug 12, 2005. They may still be restarted in the future, should economic conditions warrant it. 4 Projects currently dormant. Cernavoda 3-4 projects are expected to start in 2008, with completion in 2013. Cernavoda-5 project unresolved. 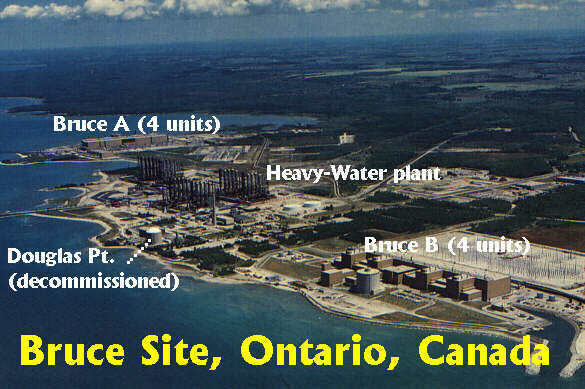 In July 2000, Ontario Power Generation (OPG) (formerly Ontario Hydro) announced its plans to lease the operation of its eight CANDU reactors at the Bruce site (on Lake Huron) to a consortium lead by UK reactor owner/operator British Energy. This lease was signed in May 2001. The combined electrical capacity of all eight reactors at the Bruce site is 6,140 MWe, although two of the units have been mothballed since 1998. The reactors at the Bruce site were commissioned between 1977 and 1987. Until February 2003, the leasing consortium (known as Bruce Power Limited Partnership (BPLP)) was 79.8% controlled by British Energy, 15% controlled by the uranium producer Cameco Corporation, and 5.2% controlled by labour groups (the Power Worker's Union at 4%, and The Society of Energy Professionals at 1.2%). In February 2003 British Energy sold its share of Bruce Power to a new consortium of three companies: Cameco Corp., natural-gas transmission company TransCanada Pipelines Ltd., and investment group BPC Generation Infrastructure Trust (representing the Ontario municipal pension fund), for a net value CD$770 million. The three members of this new consortium each own one-third of British Energy's former share (82.4%, at this point in the share-transfer process described above), in addition to one-third of Cameco's original 15% share, bringing the total ownership of the new consortium to 94.8% (31.6% each). The remaining 5.2% is, as before, owned 4% by the Power Workers Union and 1.2% by the Society of Energy Professionals. The consortium also acquired British Energy's 50% share in Huron Wind, the new wind power farm at the Bruce site. In October 2005 a further revision of this consortium was announced. TransCanada Corporation, BPC Generation Infrastructure Trust (BPC), the Power Workers' Union (PWU) and The Society of Energy professionals formed a new partnership, Bruce Power A Limited Partnership (BALP), that will obtain a sublease of the Bruce A facility. Cameco Corporation is not an investor in BALP. TransCanada and BPC will each own a 47.4% interest in BALP and the remaining interest will be owned by the PWU and The Society of Energy Professionals. Cameco, along with TransCanada and BPC, will maintain its existing 31.6% interest in Bruce B and the Bruce Power Limited Partnership (BPLP), which is responsible for the overall management of the site. The PWU will continue to hold a 4% interest and The Society of Energy Professionals a 1.2% interest in BPLP. Day-to-day operations are not expected to be affected by this reorganization. The original lease, finalized in May 2001, involved a one-time payment of CD$625 million within the first six years, plus annual payments that include revenue-sharing and fees for waste-fuel management (CD$65 million in 2003, rising to CD$92 million by 2018, plus CD$25 million per annum per operating unit, with a 50% reduction if the market price falls below CD$30/MWh), and an early termination option of CD$175 million. With the 2002 sale of British Energy shares these terms remained in effect, with the costs divided proportionately amongst the current ownership. The lease runs to 2018 with an option to extend for 25 years. The total value of the lease is reported to be CD$3.2 billion. Meanwhile, OPG retains responsibility for waste management and long-term decommissioning. Until October 2005 Cameco Corp. assumed full responsibility for the fuel procurement needs of the entire Bruce plant; following the sublease reorganization of October 2005 (see above), Cameco's fuel procurement rights apply only to the Bruce B plant (Units 5-8). OPG pursued this privatization in accord with its current generating license, which stipulates that it control no more than 35 per cent of Ontario's generating capacity within a decade of the market's deregulation (May 2002). OPG is a crown corporation owned by the government of Ontario. It is one of North America's largest utilities, and currently operates ten CANDU reactors. Together, the Bruce Power and OPG reactors supply about half of Ontario's electrical demand. Text of the 2001 W.B. Lewis Memorial Lecture delivered by Dr. Robin Jeffrey, Executive Chairman British Energy and Chairman Bruce Power, on October 17, 2001 at the Chateau Laurier in Ottawa, Ontario: "Replacing Nuclear With Nuclear: A UK Perspective" (PDF file). Canada has sold eight commercial CANDU 6 reactors to date, and five of these have involved loans from Export Development Canada (EDC) (formerly known as Export Development Corporation). EDC is a Canadian government agency that finances export projects as an self-sufficient, commercial entity. Loans are provided at commercial rates, under OECD regulations. All of the five CANDU loans provided by the EDC are either repaid in full, or on schedule to being repaid in full. The remaining three of the eight CANDU 6 sales were financed in full by the customer country, South Korea. 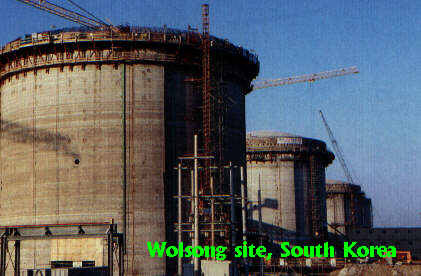 In this case the EDC was involved with South Korea's first CANDU reactor, Wolsong 1, but not the next three (Wolsong 2, 3, and 4). "Financing Canada's Nuclear Exports", Keewatin Publications, 2000. The Canadian nuclear industry is a mixture of government and private enterprise associated with the research and development, design, marketing, component manufacturing, construction, operation, and maintenance of Canadian-designed CANDU and research reactors. The top level agency responsible for research and development, design, marketing, and project development is Atomic Energy of Canada Ltd. (AECL), a federal crown corporation established in 1952. Three provincial government utilities and one private company operate and maintain CANDU nuclear reactors: Ontario Power Generation, Hydro Qu�bec, New Brunswick Power, and Bruce Power Inc. In addition, over 150 private companies manufacture components or provide services for CANDU and research reactors. About a third of these companies belong to the Organization of CANDU Industries, representing the CANDU export industry. The industry as a whole is represented by the Canadian Nuclear Association. Either of these two groups can provide more information on their membership. On June 4, 2002, Canada marked the 40th anniversary of the first electricity generated in this country by nuclear fission. The site of this historic event was known as "NPD" (Nuclear Power Demonstration), a small, prototype nuclear power plant located on the Ottawa River just east of Rolphton, Ontario, about 200 km north-west of Ottawa along the Ontario-Quebec border. NPD is the ancestor of the CANDU reactors that provide a significant amount of Ontario's electricity today, as well as at sites in Quebec, New Brunswick, and overseas in South Korea, Romania, Argentina, India, Pakistan and (under construction) in China. The story of this historic achievement of 1962 begins shortly before the outbreak of World War II, with the German discovery of nuclear fission. Scientists everywhere immediately realized the potential of this new energy source, and in Canada Dr. George C. Laurence conducted some of the world's first "critical pile" fission experiments at the National Research Council (NRC) laboratories in Ottawa. Meanwhile, a handful of French scientists escaped to Britain from Paris with almost all the world's supply of heavy water (about 200 kg), just ahead of the German invasion. They and the heavy water eventually ended up in Montreal. While the remainder of Canada's wartime nuclear effort was devoted to helping the American bomb program, the end of hostilities in 1945 found this country with the second largest nuclear research infrastructure in the world (after the U.S.). Part of this legacy was the ZEEP nuclear research reactor at the Chalk River Laboratories (about 200 km north-west of Ottawa), the only non-U.S. reactor at the time, commemorated in 1966 by a plaque from the Archaeological and Historic Sites Board of Ontario. August of 1951 saw the formal publication of "An Atomic Power Proposal", by Dr. W.B. Lewis of Chalk River Laboratories. The following January a series of meetings between Ontario Premier Leslie Frost, Ontario Hydro (then the Hydro-Electric Commission) Chief Engineer Richard Hearn, National Research Council (NRC) President C.J. Mackenzie, and federal minister C.D. Howe, lead to preliminary joint feasibility studies between Ontario Hydro and the newly-created crown corporation Atomic Energy of Canada Ltd. (AECL had taken over the reins of Canada's nuclear research program from the NRC in April 1952). In 1954 the "Nuclear Power Group" was established at Chalk River Laboratories (now part of AECL), under the leadership of Ontario Hydro's Harold Smith. This handful of representatives from electric utilities, engineering companies, and manufacturers, joined with AECL's scientists to forge the fundamental design of a prototype heavy-water, natural-uranium-fuelled power reactor that could compete with coal-fired plants. Although "made-in-Canada" was the overlying goal of this enterprise, "made-in-Ontario" largely resulted by default. Ontario not only provided the industrial base for much of the manufacturing, but was also the seat of Canada's nuclear engineering and scientific expertise, as well as uranium production (mined at Elliot Lake, north of the Lake Superior). In March of 1955, Canadian General Electric (CGE, now GE Canada) in Peterborough, Ont. was selected from seven bids as the Prime Contractor for the Nuclear Power Demonstration (NPD) project. The implementation team was now in place: CGE would provide the design work at its Peterborough engineering offices (forming the Civilian Atomic Power Division, CAPD), as well as $2 million in funding. Ontario Hydro would provide the plant site and all conventional equipment, plus operate the plant and purchase the nuclear-generated steam. AECL would provide the balance of funding (the projected cost at that time was $20 million) and own the nuclear side of the plant. The site itself was a spot on the Ottawa River, just downstream from Ontario Hydro's massive Des Joachims hydro-electric power station at Rolphton, Ontario. The CAPD in Peterborough included roughly a dozen engineers each from CGE and AECL, under the guidance of General Manager Ian McRae (CGE), Engineering Manager Ian Mackay (AECL), and Design Manager John Foster (AECL). These were heady days, where design and development proceeded in parallel, and key late-breaking design decisions became the blueprint for future CANDU designs. The most significant of these decisions was made in 1957, when the team resolved to redesign the core of the reactor to better reflect the thinking on future CANDU designs. Instead of having one large pressure vessel, as in American designs then being developed, NPD would assume the horizontal, pressure-tube arrangement characteristic of all CANDU cores to this day. This would make NPD the first commercial power reactor to have a completely replaceable core, and the first to refuel while operating at full power – both signature CANDU traits. This decision also ensured that the manufacturing phase would approach 100% Canadian content, since the specifications now more closely matched our industrial capabilities at the time. More importantly, it meant that international experience would be largely irrelevant to the Canadian nuclear program: our bold decision to be unique also meant self-reliance. Construction continued, and as hurdles and delays were gradually overcome, an Operations group, assembled under Lorne McConnell of Ontario Hydro, prepared to take over and bring Canada into the Nuclear Power Age. NPD began supplying its first electricity to the Ontario grid on June 4, 1962, and reached full power (about 20 MWe – enough for 10,000 homes) on June 28. Ontario Hydro would continue to operate the plant for the next 25 years, even as much larger CANDU versions came on-stream in Southern Ontario, dwarfing NPD's meagre contribution. Today Ontario is one of the largest nuclear-powered jurisdictions in the world. The more important role of NPD was always as a prototype for CANDU engineering. Over the years it was an invaluable test bed for new fuels, materials, components, and instruments – most never envisaged at the time of NPD's conception. Equally important, NPD was the training centre for generations of Canadian and off-shore operations staff. This role began shortly after the start of operation, when a training program was set up by George Howey of Ontario Hydro. Howey was to oversee the evolution of the training and simulation centre over the next two decades. NPD also epitomized the symbiotic good that can come of federal/provincial/private cooperation in research and development. The partnership forged in the early 1950s between AECL and Ontario Hydro (now Ontario Power Generation) continued and prospered – and served as a model for other utilities in Quebec and New Brunswick that later installed CANDU reactors. The participation of private manufacturing and engineering firms (headed by CGE) has evolved into a well-established nuclear industry to which most CANDU construction and design contracts are now channelled. 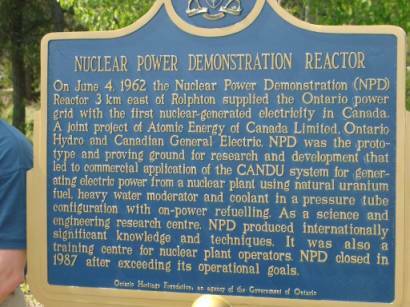 LATEST NEWS: The Canadian Nuclear Society, in conjunction with the Ontario Heritage Foundation (now the Ontario Heritage Trust), unveiled an historical plaque commemorating Canada's first nuclear-generated electricity on Saturday, June 1, 2002, at the NPD site in Rolphton, Ontario. Visit the CNS website for more details. B.1 – Why did Canada develop its own, quite different, reactor design? B.11 – What was Canada's first commercial-scale nuclear power plant? "Nuclear Power Demonstration Reactor", Nuclear Engineering, October 1962, available on-line at: www.cns-snc.ca/history/npd/npd.html. J.J. Whitlock, "Entering the Nuclear Age", Legion Magazine, Sept. 2003. In January 1997 Ontario Power Generation (then known as "Ontario Hydro"), one of North America's largest utilities, commissioned an independent review of its nuclear operations, following a steady decline in the performance of its older reactors. The report, publicly released on August 13, 1997, despite finding that "all of the plants were being operated in a manner that meets defined regulations and accepted standards related to nuclear safety", was highly critical of Ontario Hydro's managerial and operational procedures. It recommended the recovery to excellence of the utility's nuclear fleet, in a phased approach that required the older units at Pickering A and Bruce A to be temporarily shut down (making seven reactors in total; each station has four units, but Bruce Unit 2 had been in lay-up mode for a while previously). This strategy allowed the remaining 12 reactors to be upgraded within the restrictions of currently available resources (human and financial). based upon a performance and business case, recover Pickering A units from 2000 to 2002 - this phase is underway but behind schedule -- one unit (Unit 4) was brought back in 2003; a second unit (Unit 1) is planned to be back on-line in October 2005 at a final cost of about $1 billion; the Ontario government announced in August 2005 that the two remaining Pickering A units (2 and 3) will remain shut down indefinitely, based on a cost-benefit assessment of their proposed $2 billion refurbishment (a detailed examination of the units revealed unexpected additional costs, mainly in the repair of each unit's steam generators). See below for current cost estimates. based upon a performance and business case, recover Bruce A units from 2003 to 2009 - this phase was transferred to the private consortium Bruce Power, which assumed operation of the Bruce plant on May 12, 2001. (see related faq) Bruce Power subsequently decided to refurbish two of the Bruce A units (3 and 4) by 2003. This schedule slipped slightly, with Unit 4 brought back to service in December 2003 and Unit 3 in January 2004. In October 2005 Bruce Power also announced its project to refurbish Units 1 and 2, along with further life extensions to Units 3 and 4. The Bruce 1 and 2 refurbishments were completed in November 2012. The final cost of PNGS-4 refurbishment (2003) was $1.255 billion, and the estimated final cost of PNGS-1 refurbishment (2005) is about $1 billion. The expected costs of refurbishment for Bruce-A Units 1-4 (announced in October 2005) is expected to be $4.25 billion, of which almost two-thirds ($2.75 billion) is to be spent on the return-to-service of Units 1 and 2, and the remainder split between Units 3 ($1.15 billion) and 4 ($350 million). On August 14, 2003, about 50 million people in the province of Ontario and the northeastern United States experienced a massive electricity blackout that lasted several hours. In Ontario all 11 CANDU reactors that were operating at the time (three at Pickering, four at Darlington, four at Bruce) disconnected from the grid as designed. Another unit, Pickering unit 7, was completing a routine outage and about to be reconnected to the grid. Still another unit, Pickering unit 4, was completing a lengthy refurbishment outage (see related FAQ) and was hours from its first re-connection to the grid. Four of the eleven operating CANDU units at the time (three at Bruce, one at Darlington) were able to step back to a lower-power mode that left them immediately available to re-supply the grid when requested. Unfortunately it took several more hours for this request to be established, due to other logistical problems involving the grid operator. When reconnection to the grid was eventually established about six hours after the event, these four units played a vital role in the return of supply to millions of customers that evening. 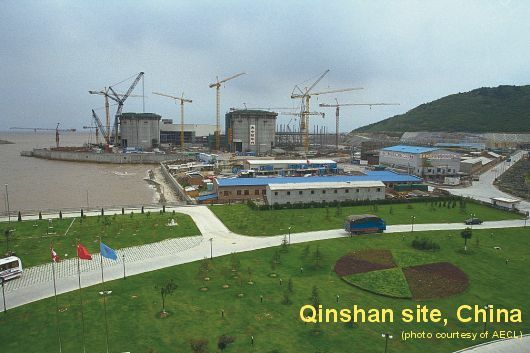 The ability to step back to lower power and maintain availability in such circumstances is a unique feature of CANDU reactors. The other seven operating CANDU units in Ontario were fully shut down. Three of these units (at Pickering B) were older units without the ability to maintain extended low-power operation under such circumstances. The remaining four units (3 at Darlington, 1 at Bruce) were shut down for other procedural and technical reasons. It took several days to reconnect the 8 CANDU units that had been fully shut down (including Pickering unit 7), due partly to the significant turn-around time required to restart reactors that have been shut down to the level that these units were. At all times decisions followed established procedures based upon conservative safety policy. A summary of the causes and effects of the August 14, 2003 blackout is available in the report of the Canada�U.S. Power System Outage Task Force (7 MB pdf). The Douglas Point nuclear generating station, located between Port Elgin and Kincardine on Lake Huron, represents a significant milestone in the technological and economic development of Ontario and Canada. Douglas Point's historical significance lies in the launching of not only Ontario's (and Canada's) large-scale nuclear power program, but also (and, remarkably, simultaneously) Canada's nuclear power export industry. During its career Douglas Point also achieved a number of technological "firsts" that made the designer, Atomic Energy of Canada Ltd. (AECL), and the provincial electrical utility, Ontario Hydro (now Ontario Power Generation), world leaders in power reactor development and operation. The story of Douglas Point begins shortly before the outbreak of World War II, with the German discovery of nuclear fission. Scientists everywhere immediately realized the potential of this new energy source, and in Canada Dr. George Laurence conducted some of the world's first "critical pile" fission experiments at the National Research Council (NRC) laboratories in Ottawa. Meanwhile, a handful of French scientists escaped to Britain from Paris with almost all the world's supply of heavy water (about 200 kg), just ahead of the German invasion. They and the heavy water eventually ended up in Montreal. The end of hostilities in 1945 found this country with the second largest nuclear research infrastructure in the world (after the U.S.). 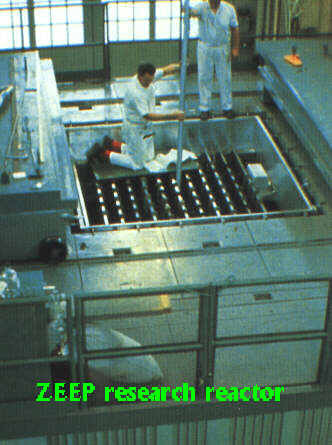 Part of this legacy was the ZEEP nuclear research reactor at the NRC's Chalk River Laboratories (about 200 km north-west of Ottawa), the only non-U.S. reactor at the time. ZEEP was commemorated in 1966 by a plaque from the Archaeological and Historic Sites Board of Ontario. With the wartime diversion out of the way, scientists again turned to the alluring peaceful potential of nuclear energy. In 1950 George Laurence, then at Chalk River Laboratories, began advocating a Canadian power reactor based upon natural uranium fuel and heavy water - both areas of domestic expertise. August of 1951 saw the formal publication of "An Atomic Power Proposal", by Dr. W.B. Lewis of Chalk River Laboratories. The following year saw the establishment of Atomic Energy of Canada Ltd. (AECL), a crown corporation with nuclear power development as a major pillar of its mandate. In 1954 the "Nuclear Power Group" was established at Chalk River Laboratories (now part of AECL), under the leadership of Ontario Hydro's Harold Smith. This handful of representatives from electric utilities, engineering companies, and manufacturers, joined with AECL's scientists to forge the fundamental design of a prototype heavy-water-moderated, natural-uranium-fuelled power reactor that could compete with coal-fired plants. All but the latter of these goals were met by the 20 MW NPD plant, which started operation on the shore of the Ottawa River, 15 km upriver from Chalk River Laboratories, in 1962. The final goal, economic viability, required a commercial-scale power plant. By 1956 the Nuclear Power Group at AECL was already working on the preliminary design of the commercial prototype. In 1957 the Group submitted its radical proposal of a horizontal, pressure-tube design, motivated partly by the difficulties of scaling up the original single pressure-vessel design of NPD to commercial proportions, and partly by the development of Zircaloy, an alloy of zirconium that enabled the use of metallic pressure tubes in large reactors. This bold proposal not only set the course for Canada's unique line of CANDU reactors for years to come, but also turned the clock back on NPD's construction, then underway. Although NPD's small size made the pressure-tube concept unnecessary, the decision was made to completely redesign it with this added feature, making it a true technical prototype of the CANDU fleet. In 1958 a new engineering arm of AECL, the Nuclear Power Plant Division (NPPD), was established in Toronto for the design of the commercial plant, initially with Harold Smith as General Manager (still on loan from Ontario Hydro). The NPPD also had oversight over the modifications at NPD, in order to facilitate efficient communication between the simultaneous projects. Federal Cabinet approval for Douglas Point was received in June 1959, and 2,300 acres on Lake Huron's shoreline were acquired for the project. Site clearing began in February 1960. The estimated project cost at this time was $81.5 million, with a target date of 1965 for full operation. 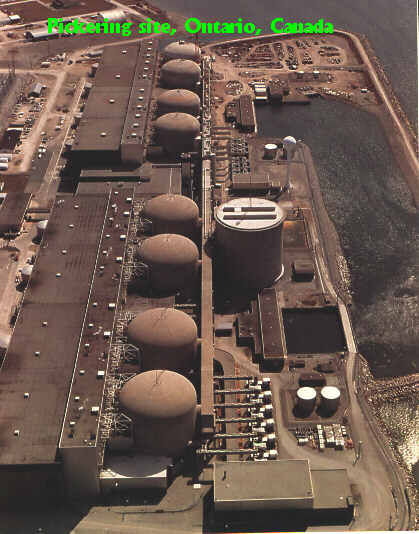 A number of "first-of-a-kind" issues delayed the construction of Douglas Point, and start-up ("first-criticality") was finally achieved on November 15, 1966. First generation of electricity came in January of 1967, and full commercial operation was declared on September 26, 1968. Douglas Point pumped 220 MW into the Ontario grid for the next 16 years, gradually improving in performance over the years as its operators learned the tricks and lessons that prototypes typically give up only in their own time. However, the delay in full operation meant that many of Douglas Point's lessons were applied directly to Ontario Hydro's first two large-scale CANDU reactors (each more than twice as big as Douglas Point) at Pickering, first announced in 1964. This early "cross-fertilization" of overlapping projects represented the first and most important contribution of Douglas Point's operation to the Canadian nuclear industry. Douglas Point symbolized not only the coming of age of Canada's nuclear power program (and the legacy of bold wartime decisions and post-war innovative nuclear research), but also the entry of Canada into the global power reactor market. The remarkable boldness of the time resulted in three international reactor orders even before Douglas Point was complete: two duplicates of Douglas Point to be built in India and announced in 1963 (both still in operation today, having spawned an entire domestic industry in that country based on heavy-water technology), and one in Pakistan based on a scale-up of NPD, announced in 1964. 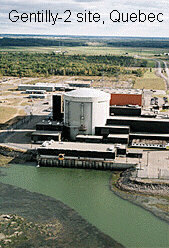 In Canada, Douglas Point was the genesis of AECL's nuclear engineering capabilities. The Nuclear Power Plant Division in Toronto soon moved, under John Foster, to a new technology park in Mississauga, where it underwent several metamorphoses but today still houses the main plant engineering offices of the company. In 2005 Canada's CANDU reactor remains a competitive and leading design in the global market, with major features that are directly traceable to the engineering decisions at Douglas Point. In 1984 the decision was made to shut down Douglas Point permanently, rather than take on an enormous pressure-tube refurbishment project that was then required (the same fate would befall NPD three years later). 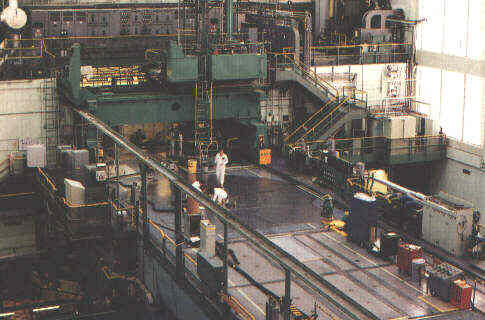 The era of CANDU prototypes was over: industrial development had taken over, and resources were best spent elsewhere. During its brief but important career Douglas Point contributed enormously to the learning curve of the Canadian nuclear industry, and to that of operators who went on to fill the control rooms at the Pickering, Bruce, Darlington, Gentilly, and Pt. 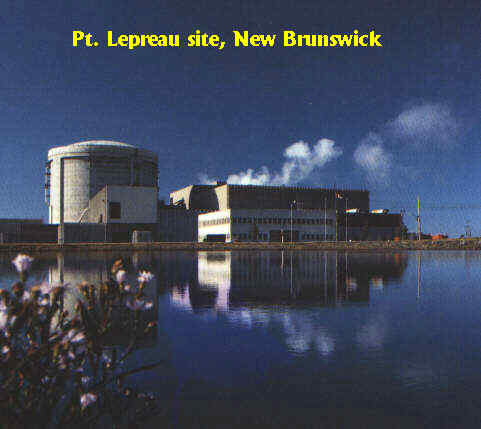 Lepreau stations elsewhere in Canada. There were many "firsts" during Douglas Point's operation, one of the most significant being the world's first use of a digital computer program to control a power reactor. A pioneer in this application of computers, Canada used experience gained at Douglas Point to implement full computer control at Pickering (another world first), and at all CANDUs since. As with the NPD project at Rolphton, Douglas Point demonstrated the symbiotic benefits that can come of federal/provincial/private cooperation in research and development. The partnership forged in those pioneering years between AECL and Ontario Hydro continued and prospered - and served as a model for other utilities in Qu�bec and New Brunswick that later installed CANDU reactors. The participation of private manufacturing and engineering firms has evolved into a well-established nuclear industry to which most CANDU construction and design contracts are now channelled. Douglas Point now sits silent on the shoreline of Lake Huron, lost amongst the sprawling buildings of Bruce Power's 5,000 MW operation (alone supplying 1/5 of Ontario's needs), but symbolizing the genius, tenacity, and teamwork that got it all started 40 years ago. 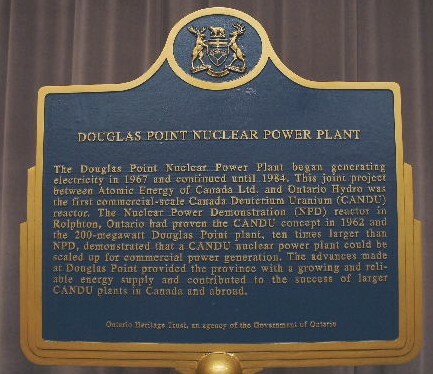 LATEST NEWS: The Canadian Nuclear Society, in conjunction with the Ontario Heritage Trust, unveiled an historical plaque commemorating Douglas Point, Canada's first large-scale CANDU reactor on Wednesday, September 27, 2002, at the Bruce Power Visitors Centre near Kincardine, Ontario. G.C. Laurence, "Early Years of Nuclear Energy Research in Canada", AECL public brochure, 1991, published by the Canadian Nuclear Society on-line at: www.cns-snc.ca/history/early_years/earlyyears.html. J.L. Gray, "Early Decisions in the Development of the CANDU Program", Nuclear Journal of Canada, Volume 1, No. 2, June 1987, published by the Canadian Nuclear Society on-line at: www.cns-snc.ca/history/pioneers/jl_gray/earlydecisions.html. "The Douglas Point Story," in AECL's Power Projections internal newsletter, June 1984, published by the Canadian Nuclear Society on-line at: www.cns-snc.ca/history/DouglasPoint/DouglasPoint.html. Within the nuclear industry, "reprocessing" refers to any process that extracts usable material from irradiated nuclear fuel. The most common reprocessing products are plutonium and left-over uranium, to be recycled as fuel in power reactors. Although Canada's power reactor program is based upon a once-through fuel cycle, an extensive degree of experience with nuclear fuel reprocessing exists at Chalk River Laboratories (CRL). During World War II and its immediate aftermath, the establishment of CRL included the independent development of plutonium and thorium processing capabilities. The National Research Council's intent with this program was initially to support the war effort through military fissile material production, and subsequently to extend known fissile fuel resources (then thought to be in short supply). By the mid-1950s it became clear that economical supplies of uranium within Canada were much more abundant than first imagined, and the incentive for reprocessing disappeared. Although Canada's plutonium and thorium fuel production programs were scaled back significantly, the R&D capability was maintained at CRL. Laboratory-scale facilities for manufacturing nuclear fuel from reprocessed fissile material have been used to support the CANDU advanced fuel cycles program (see related FAQ), to the level of full fuel bundle assembly and irradiation under CANDU in-core conditions. This includes not only driver fuel for power production but also "actinide burner" fuel designed for high-level waste destruction. The Global Nuclear Energy Partnership (GNEP) is an initiative announced in February 2006 by the United States Government to encourage the growth of safe and secure nuclear energy worldwide. Expansion of nuclear power to help meet growing energy demand in a sustainable manner, and in a way that provides for safe operation of nuclear power plants and waste management. In coopoeration with the IAEA, continue development of enhanced nuclear safeguards to effectively and efficiently monitor nuclear materials and facilities, to ensure nuclear energy systems are used only for peaceful purposes. Establishment of international supply frameworks to enhance reliable, cost-effective fuel services and supplies to the world market, providing options for generating nuclear energy and fostering development while reducing the risk of nuclear proliferation by creating a viable alternative to acquisition of sensitive fuel cycle technologies. Development, demonstration, and in due course deployment, of advanced fast reactors that consume transuranium elements from recycled spent fuel. Development of advanced, more proliferation resistant nuclear power reactors appropriate for power grids in developing countries and regions. Development and demonstration of, inter alia advanced technologies for recycling spent nuclear fuel for deployment in facilities that do not separate pure plutonium, with a long-term goal of ceasing separation of plutonium, and eventually eliminating stocks of separated civilian plutonium. Such advanced fuel cycle technologies, when available, would substantially reduce nuclear waste, simplify its disposition and draw down inventories of civilian spent fuel in a safe, secure, and proliferation-resistant manner. Development and deployment of advanced fuel cycle approaches for the efficient and responsible use of energy and natural resources. On November 29, 2007, the Government of Canada announced its intention to join the GNEP partnership. At that time Honourable Gary Lunn, Minister of Natural Resources, explained, "As the world's largest producer of uranium and a country taking steps to tackle climate change through the development of clean energy technology, Canada's responsibility is to help shape the safe and secure development of nuclear energy worldwide." The Honourable Maxime Bernier, Minister of Foreign Affairs Canada, added, "Canada is recognized for its commitment to safety and non-proliferation. By joining this partnership, we are making sure Canada can continue to be an effective advocate for those ideals." The GNEP Statement of Principles confirms that participating States do not waive any rights, and "voluntarily engage to share the effort and gain the benefits of economical, peaceful nuclear energy." The CANDU design is based on heavy water neutron moderation, but this does not constrain the choice of coolants that can be used. In the early days of CANDU development several different coolants were considered, including pressurized heavy water, boiling light water, steam, fog (i.e. steam with entrained water droplets), organic liquid, carbon dioxide, and helium. Each of these promised (at least on paper) various advantages, and each presented unique challenges. In many ways the use of pressurized heavy water coolant was the simplest approach for Canadian design engineers in the 1950s and 1960s, given the state of knowledge of reactor coolants at that time. A development program of prototype heavy-water power reactors was thus well underway in Canada by the mid-60's, with the 25 MWe NPD coming on-line in 1962 (design initiated in 1955; see related FAQ), the 220 MWe Douglas Point plant coming on-line in 1967 (design initiated in 1958, see related FAQ), and the first 500 MWe Pickering units coming on-line starting in 1971 (design initiated in 1964). At the same time Atomic Energy of Canada Ltd. (AECL) developed CANDU designs based on both boiling light-water coolant (CANDU-BLW) and organic coolant (CANDU-OCR), and in this context the pressurized heavy water variety of CANDU became known as CANDU-PHR. The motivation for this diverse R&D was both the high cost of heavy water and the fear that it would be difficult to reduce loss rates of this valuable fluid. In time, however, the increasingly successful operating experience with CANDU-PHR diminished the interest in these other CANDU variants, and eventually both programs were cancelled. CANDU-PHR continued to evolve to larger and more efficient units, and by the turn of the century AECL had again turned its consideration to light water coolant (not boiling, or "direct cycle", this time), and developed what is now known as the Advanced CANDU Reactor, or ACR. The motivation at this time was again the high capital cost of heavy water. Gentilly-1 had a vertical calandria penetrated by 308 vertical pressure tubes, and was refuelled from below the core (single-ended refuelling). Natural uranium fuel bundles were strung vertically within the pressure tubes (similar to how CANDU fuel bundles are test-irradiated in the NRU research reactor at Chalk River Laboratories), and to optimize uranium usage ("burnup") the bundle string had to be removed, shuffled, and put back in the core. In a CANDU-PHR this fuel bundle shuffling is achieved with loose bundle pushes using two-ended refuelling. Coolant exited the top of the Gentilly-1 core at about 290 °C and 7.7 MPa, with 20% steam quality (i.e. light water coolant exiting the core consisted of 20% vapour and 80% liquid, by mass). This can be compared with CANDU-6 exit conditions at 310 °C and 9.9 MPa, and ACR-1000 at 319 °C and 11.1 MPa – both with exit steam quality around 4%. The steam was dried and sent directly to a steam turbine, without the use of a secondary steam circuit. This promised some economic advantages that were never fully realized due to the higher cost of fuelling (fuel efficiency was lower than in CANDU-PHR). Due to the use of light water coolant and natural uranium fuel, Gentilly-1 had a significant coolant void reactivity effect (see related FAQ) that led to spatial control problems due to variable and dynamic void formation across the core. Achieving sufficient spatial control was a matter of re-positioning absorbers at enough locations within the core, and employing a control algorithm that utilized reactivity feedback to move the absorbers during operation. Reactor modifications along these lines took place during an extended outage from 1972-1974 when Gentilly-1's heavy water moderator was loaned to the Pickering station in Ontario to enable the startup of its Unit 3. As well, it was recognized from the outset that using enriched uranium fuel would greatly reduce the void reactivity feedback, and thus also the control complexity. These solutions became moot when the CANDU-PHR program proved to be highly successful. The Gentilly-1 prototype was shut down in April 1979, and decommissioned by 1984. While Gentilly-1 represents a dead-end to the CANDU-BLW evolutionary branch, its design and operation did contribute significantly to general CANDU engineering knowledge and practice, particulary in the areas of coolant chemistry, spatial core flux detection and control, space-time core physics modelling, and in the development of a high-pressure poison injection system that became the standard second fast-acting shutdown system on CANDU designs to follow (see related FAQ). Elsewhere in the global nuclear community, boiling-light-water coolant heavy-water reactors have been built and operated in both the U.K. ("Steam Generating Heavy Water Reactor", SGHWR, 300 MWe, 1967-1990) and Japan (FUGEN, 165 MWe, 1978-2003). AECL also built a 40 MW(th) organically-cooled prototype reactor (designed by Canadian General Electric, who had also designed NPD) at its Whiteshell Nuclear Research Establishment (WNRE) site at Pinawa, Manitoba. WR-1 was also a vertical-core, natural-uranium reactor, but unlike Gentilly-1 was refuelled from the top (single-ended) similarly to the NRX and NRU at Chalk River. As with Gentilly-1, WR-1 fuel bundles were strung vertically in the core and had to be periodically removed and reshuffled in order to attain sufficient fuel usage. As coolant, WR-1 used a partially hydrogenated mixture of terphenyls called HB-40. Organic coolant offers the advantages of lower cost (relative to heavy water), single-phase operation (no boiling), reduced coolant contamination, higher operating temperature (increased thermodynamic efficiency), and lower operating pressure (allowing thinner pressure tubes and higher neutron economy). Organic coolant also offered the possibility of higher-density uranium fuels, such as uranium carbide or uranium metal, since the corrosion incompatibilities between these materials and water coolant were not an issue. These non-ceramic fuels, in turn, offered the possibility of higher uranium fuelling efficiency (burnup). 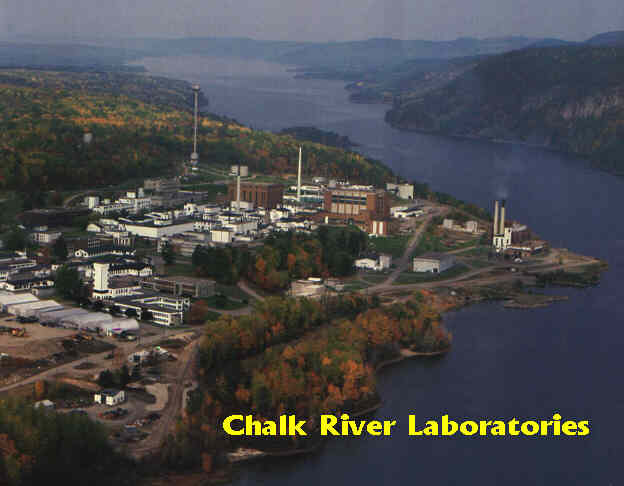 Work at Chalk River Laboratories on organic coolant concepts had started in the mid-1950s, but construction of WR-1 started in 1962 with first criticality in November 1965. It ran successfully for 20 years as a multi-use research reactor for AECL, while continuing to demonstrate and enhance the understanding of the organic coolant concept, as well as uranium carbide fuel (to which WR-1 was converted in in 1974). In 1971 AECL initiated design engineering of a 500 MWe CANDU-OCR, based on uranium carbide fuel, but this work was terminated in 1973 when it was clear that CANDU-PHR had become the norm. WR-1 was shut down in 1985.
has a negative void reactivity coefficient. These features remove the spatial control issues that plagued Gentilly-1, even though both reactor designs employ light water coolant. ACR's pedigree, rather, is the PHR branch of CANDU evolutionary design that has prospered within Canada and abroad. In keeping with past development steps from NPD through Douglas Point, Pickering and other multi-unit stations, and finally CANDU-6, ACR contains about 80% proven components from existing CANDU design, and about 20% engineering improvement. R.G. Hart, "Boiling-Light-Water and Organic-Cooled CANDU Reactors", Canada Enters the Nuclear Age, pp.319-332, McGill-Queen's University Press (for Atomic Energy of Canada Ltd.), 1997.